That piece of wisdom was from another indie author who’s had a lot of success. And he loved SEDITION. He got it. He understood that it’s as much a commentary on freedom and love of country as it is a fictional, violent plot drawn from present day political reality. He told me that people on the left would think I drew the right-of-center conspirators as sympathetic. And those on the right would find me to be a liberal-minded journalist painting everyone on that side of the aisle as potentially wacko extremists. Being a television journalist by profession, I expect blowback from my work. If both sides of a given story hate it, I’ve done my job. If both sides love it, I’m good. It’s when one side is happy and the other isn’t that I’ve tilted the scale and my integrity gets questioned. 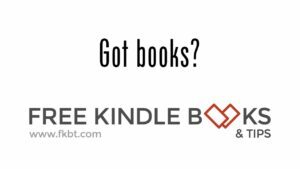 With SEDITION, there have been those from the far right and far left who LOVE the book. They see it for it is and how I intend it to be a commentary on the system as a whole. Then there are those, of whom I was warned, who think I’m an agent of the other side…bent on preaching to a misguided choir. It’s true that the bad guys are politically conservative. But so are the good guys. And more liberal-minded characters also share in the white/black hat duties. I wrote this because I love politics. I’ve covered it at every level for the last twenty years. And it never gets dull. And yet somehow, I was surprised at just how personally people take a fictional story. I was stunned at how they transpose their ideology (and mine) into a novel that, while based in reality, is a farce. I guess that’s good. I’m writing something that ignites passion. And whether people love the book or hate it, they’re reading it! They’re talking about it. They’re giving SEDITION five stars and they’re awarding it only one. Either way, I see it as a good thing. Which is why, even though I’ve been warned, I’m writing another political thriller. It’ll be available the end of 2013. And I hope you love it. Or hate it. The cover of the book, expertly designed by graphic artist Jason Farmand, tells you the plot without saying anything. Clearly, from the tea bag and the stained American flag, this book deals with present day political reality in a fictional way. 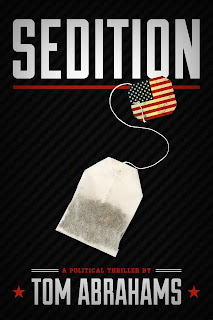 SEDITION is regularly $3.99. It'll be free on Amazon from 4/30/2013 to 5/2/13. And then it'll be .99 on 5/3/13 and 5/4/13 before going back to its regular price on the 5th.